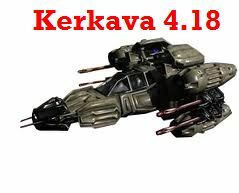 From now is available for download Kerkava 4.18 as a result of new changes in DarkOrbit game! Kerkava is a bot for DarkOrbit that will help you in fight with enemies, it precisely calculating the frequency and the exchange of firing ant-ishield ammunition and RSB. You can download it from here: Download!